Sizing » Masked Marvel Goalie Helmets » Its Your Head - You Decide! 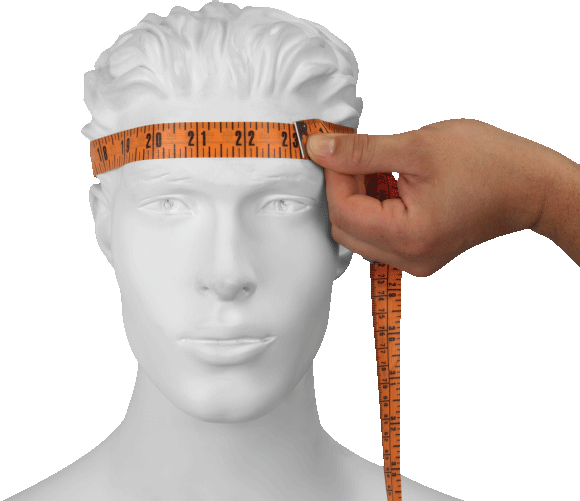 Get a measuring tape and measure around your head, just above the eyebrow. Refer to the mask manufacturers sizing chart below for the size that will closest fit you (This measurement does not take in to consideration people with wider or narrower, long or shorter faces, this is for general fitting purposes only). Also if you wear fitted hats, your hat size can help you determine what size mask you may need.